In order to start your vehicle, in an injector engine for example, while the injector retrieves fuel from the storage and supplies it to the engine block, the spark plug is responsible for providing the sparks that allow the piston to explode vertically in the engine block and start the vehicle. This device technically delivers electric current in form of sparks from the ignition to ignite the fuel and compressed air mixture. Therefore, it is impossible to start your car without spark plugs. On a lighter note, spark plugs weren’t designed for motor engines alone. Therefore, it is very important that you understand how your vehicle’s spark plug works, the features specific to your engine’s spark plug and the requirements for its replacement – should you need one. Basically, it should be your mechanic’s job to choose the best spark plug for your vehicle. However, for those who want to get more hands-on with their vehicles, start by reading the owner’s manual. It contains the specifications as described by the manufacturer and at the very least, puts you on the right track. For this particular exercise, you really don’t have to read it all – just focus on the part that contains the spark plug requirements. Assuming you just finished reading it, here are some facts that you most likely won’t find in the manual you just read. The best spark plugs remain sharp at the edges for longer periods of time, as compared to others whose sharpest points tend to shift from the centre electrode to a point on the side. This is mostly because the materials used in their manufacture melt easily, e.g. nickel alloy electrodes found in regular types. They rather have indium and platinum (which melt at higher temperatures) as the electrodes and tend to last longer while efficiently powering your automobile. Spark plugs with bigger diameters require larger voltages to create a spark – therefore, choose those with smaller diameters to reduce the consumption on your car’s battery. Apart from brand names, there are different spark plug types that work for different purposes, and differ mainly on the type of electrodes used. However, you can’t just choose from the platinum and indium option I’ve provided above because they are the best. It also has to be right for your vehicle. Hence, the different spark plug types will be discussed thus. In this section, we will be reviewing the best spark plugs covering all types according to shared experiences of frequent users of the most prominent brands. Even if the products reviewed here don’t fit your automobile needs, you could use the features explained to tailor your preference in accordance with the instructions on your owners’ manual , of course. Denso is one of the prominent suppliers of advanced automotive technology and components for major automobile manufacturers with a clear commitment to making Automotive safer. Safety might not have much to do with the function of spark plugs, but it surely projects the image of the brand as one that cares about its customers. That sense of responsibility was used in the manufacture of this Denso 4504 PK20TT platinum model. Denso manufacturing company actually pioneered the use of platinum for spark plugs, so, you’re in perfectly capable hands with this one. An exceptional amount of dielectric strength and thermal conductivity for proper functioning is provided by the purified alumina powder insulator content that allows the material to withstand extreme stress. The twin-tip technology featuring 11mm platinum centre electrode and a 11mm ground electrode with titanium enhancement helps spread the flame faster, hence a richer combustion. The combination of functions featured in this spark plug model was designed towards improving the fuel economy of your vehicle and giving it a faster start/acceleration than other single platinum plugs. Make sure that you at least know what you’re doing if you prefer to DIY the installation rather than use a certified mechanic because Denso does not provide any warranty of parts damaged due to incorrect installation or mistreatment – which is a common case with the threading and voltage gap of most spark plugs during installation. Denso 4504 PK20TT Spark Plug is a best seller and one of the most highly rated , racking over 80% five star reviews on Amazon.com , certainly one of the best spark plugs to buy. Autolite brand has been around for a very long while now and has remained very relevant on the market since its inception in 1911. However, since their first production of spark plugs in 1936 and spark resistor plug in 1948, they make sure to match the requirements of new vehicle inventions. With this 5224 model of Autolite Copper Resistor spark plugs, they still haven’t fallen short of their trend. This model features a full copper core electrode that improves heat transfer as compared to other models and boosts the overall conditions of the plug itself. The centre electrode in this copper core also provides higher thermal conductivity to ensure rich sparks at the first ignition. Its one piece terminal post features a high alumina ceramic which in turn provides high dielectric strength as well as a steel shell to make the installation robust. The copper glass seal also binds the insulator to the terminal post centre electrode in a gas tight seal to make sure it delivers the required amount of voltage at the spark gap and subsequently ensure 100 percent leak proof. Apart from preventing leaks at the voltage gap, the multi rib insulator also prevents misfires by reducing the “flash over” probability. The resistor embedded in this copper spark plug regulates the radio frequency such that there is little or no interference (RFI). There’s also a cold-formed steel shell with precision rolled threads to prevent the threading of both the cylinder block and the spark plug from being damaged – especially when handled by amateurs, or handled under frustration. The overall engineering of the Autolite copper spark plug has a centre and ground electrode made of high nickel alloys. Conclusively, the functions featured in this brand by the manufacturer ensures good fuel usage, quick start delivery, smooth acceleration during motion as well as durability for extended life span. This global leader in vehicular replacement parts can be found in six of the seven continents, in more than a hundred countries. They are able to manage such spread with over 100 years of experience dealing maintenance and replacement parts of about 37 product lines, including this particular brand of iridium spark plug. According to the manufacturers, they believe that investing your repair savings into Original Equipment Materials (OEM) is the best thing you could do for your car – and they’re happy to help by making sure none of their products deviate from the OEM standard. Iridium remains the hardest material used for spark plugs today as they are very efficient for improved cold starting. This is featured in the ACDelco 41 -110 model along with impressive acceleration characteristics and increased fuel efficiency. With maximum resistance to spark erosion and a chamber environment with combustive corrosion, you won’t need to replace the plug throughout its 12-month or Twelve thousand mile warranty. This benefit is also supported by the reduced demands in the ignition system voltage of this spark plug. For preventing leaks, the one-piece integral suppressor stops compression leakage by sealing the meters spark plug energy. With the pieces sold per order, you won’t be having any spark plug problems for a very long while. However, you could check the review section on Amazon before you purchase and find out if this really is the particular iridium set that matches your car’s engine. This particular Autolite super performance spark plug model features a platinum to platinum firing in the preferred technology for DIS engines. With the addition of a high nickel alloy side electrode, gap erosion and misfires are drastically reduced in its performance. For extended durability and longer plug life, there’s a nickel-plated steel shell that protects the spark plug from corrosion, full platinum tips with both centre and side electrodes made of platinum and a platinum alloy pad on the ground electrode. With this as assurance, you can enjoy its use without any setbacks throughout the span of your warranty. The necked-down centre electrode ensures a quicker and cleaner firing, which ultimately optimizes the performance of the engine and improves its fuel economy. The Autolite customer service highly recommends that you follow the instructions stated in your owner’s manual before changing any of the spark plugs considering how engines vary widely and differ by certain precautionary instructions. The warranty on the product lasts 12 months or twelve thousand miles as in most brand models. However, there’s an addition of a fuel pump warranty on this model which remains valid as long as the error isn’t due to mistreatment or incorrect installation. Bosch brand founded by the German engineer, Robert Bosch GmbH hosts a German multinational engineering and electronics company which according to the 2011 revenues was the largest supplier of automotive components. That kind of achievement isn’t gotten from running multiple ads and forcing products down people’s throats. That kind of turn out rate definitely means that this German brand is on to something with their products. This particular 4509 model is one of the latest in spark plug technology. As the name implies, it features a fusion of patented Bosch platinum and iridium. This patented fusion is a combination of iridium and platinum centre electrode with an exclusive surface air gap firing technology. This fusion helps produce a longer and more powerful spark at each ignition. In addition to features that help reduce the stress on the ignition system, it has four yttrium-enhanced ground electrodes which were designed to reduce gap wear significantly and even outperform the Original Equipment (OE) iridium plugs. With technology in place, the spark plug gains a longer performance life during which the fuel combustion gains efficiency. Also, considering the strength and durability of the materials used in this fusion, the ignition system’s voltage requirement reduces eventually, compared to regular iridium spark plugs. As a careful reminder, the different types explained in this category also differ in features depending on the engine type and the brand model. Therefore, consult reviews online as well as your car’s manual to see your manufacturer’s preference. Copper spark plugs are the most common on the market today. While the plus itself is composed is solid copper core, the dead centre of the electrode is a 2.5mm diameter nickel alloy. They work best for much older vehicle models from before the 80’s since they have a low voltage distribution requirement. Unlike this application, most modern vehicles have high energy distributor systems, and both the copper core and the nickel alloy will wear out too quickly. This still doesn’t prove that you can’t use copper spark plugs in your vehicle. As mentioned earlier, if according to your owner’s manual, your model calls for copper types, then you have no reason whatsoever to use any other type – for the sake of your engine. Platinum can maintain a sharp edge for over 30 times that of a copper spark plug considering the durability difference between nickel alloy and it. They are known to be the best spark plugs for vehicles with electronic distributors in their ignition systems because they run hotter and leave no spark residues after ignition. While trying out the copper type to save money might sound like an economic option, if your owner’s manual doesn’t say so, you probably shouldn’t. However, as in most cases, vehicles that use single platinum plugs can also use double platinum or even indium type plugs. These are basically ordinary platinum spark plugs with platinum welded to the side electrode and are designed to handle reverse sparks in the waste spark distribution based ignition systems. In these cases, the spark jumps from the centre electrode to the side electrode to power the cylinder on the compression stroke, and this is reversed when a spark is needed on the exhaust stroke. Positioning the electrodes on both sides allow them to handle these kinds of systems. However, while both single platinum and copper spark plugs cannot work in these engines, you could upgrade to a platinum/iridium combination with iridium on the centre electrode and platinum on the side. Research shows that iridium spark plugs last about 25 times the span of platinum spark plugs. However, while iridium is way harder than platinum, they are also way more expensive and have a reduced diameter of 0.4mm for the centre electrode. Considering the diameter of the electrode, the colder side of the plug in some cases quenches the spark ignited. To combat this, different manufacturers have provided different solutions from which you can choose. In some cases, the manufacturers add a “U” or “V” shaped channel on the receiving end of the spark plug which allows the Flame to grow quickly and drop into the cylinder. In other products, the manufacturers reduce the flame’s contact with the colder side electrode portion by splitting the ends of the side electrode while it shoots the flame down into the cylinder. Depending on your preference, you could choose from either of the two designs, as they are equally efficient. Obviously, it’s not enough to just get the best spark plug for your car. Changing it is a major feat in your DIY quest. In this section, I will be providing a guide on the how you can efficiently change your car’s spark plug without reducing the efficiency of your car or damaging your car’s engine. A towel or blanket to cover your car’s fenders. Make sure that your car’s engine has cooled down before replacing the spark plug to prevent your fingers from getting burnt. Also, clear the area of flammable materials including blankets especially when the engine is still warm. Make a habit of draping clean blankets over your car’s fenders so that you won’t spoil the paint of the car while you rest on it. Lastly on safety, disconnect the positive terminal of your car battery to stop any electrical energy flow while you surf the engine area. When you remove the spark plug, there’ll be a hole in the spot where it once was. During the time you take to replace the plug, some dirt or debris might have fallen into the hole, and this could cause slight malfunctions when you reconnect. To remove possible dirt from the holed area, you could blow air into the area using compressed air, and then clean with the degreased spray or cleaner, as requested in the equipment needed. While you blow, make sure your eyes are protected so that you don’t get injured from the debris flying around. In cases where you have to replace several spark plugs, it is advisable to do so one at a time. While you do so, make sure that the wires connected to each of the spark plugs aren’t mixed-up. Reconnecting the wrong spark plug to the wrong wire could be disastrous to say the least. Carefully remove the spark plug wire from the top of the spark plug, fit the appropriate extension and swivel combination around the spark plug and carefully turn counter clockwise till it comes free. Once you’ve removed the old spark plug, use the spark plug gap tool to ensure that the gap between the hook-shaped ground electrode and the centre electrode matches the description in your owner’s manual. Sometimes, during transportation, this gap shifts towards or apart, but can be corrected using instructions from your owner’s manual or you could just compare it to the old one and make sure that the gaps are approximately the same. After verifying the gap, it’s advisable to apply a drop of lubricant to the threading on the side of the spark plug for easy insertion. Using the same combination set as before, carefully turn the spark plug in the clockwise direction. Make sure that the threading matches that of the hole in the engine to prevent damage. If you forcefully insert the spark plug and damage the threading, you might have to replace the entire car’s cylinder head to fix it. Also, you don’t have to over tighten it; just make sure that the washer has a firm contact with the shoulder of the threaded hole. You can now reattach the spark plug wire to it, push the boot directly on to the exposed tip of the plug till you hear a firm click. 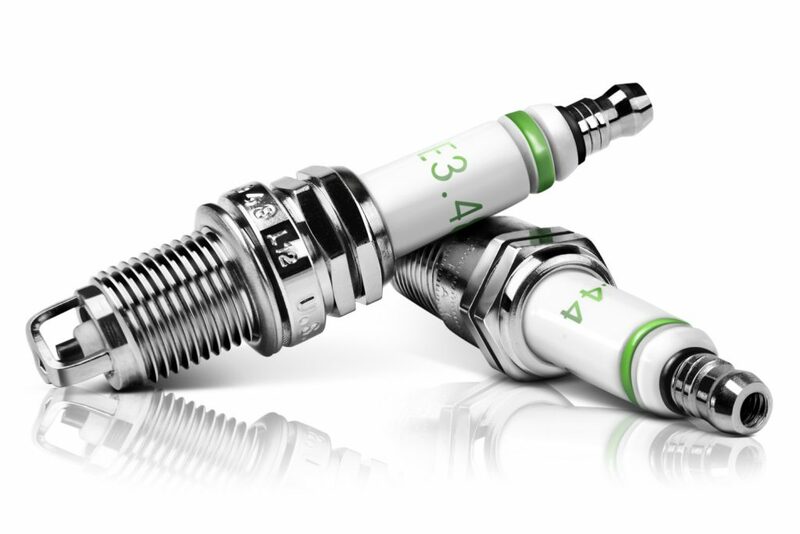 Keep tabs on the use of each spark plug by monitoring the mileage of your car before each replacement. Having reviewed some of the top spark plug products in every category in the guide above, be reminded that you need to be sure that the information correlates with the requirements in your owner’s manual before purchasing or proceeding to do a DIY install. Also, for extra confidence during installation, you could have a mechanic show you how it’s done first, before going on to do it by yourself. This way, you would be wary of the sensitive areas underneath your hood, and then reduce the chances of tampering with the engine itself. Hope you found this piece on the best spark plugs very helpful.